Une voix, un message, une poésie… Des chants aux couleurs d’influences musicales qui partent des racines… Chants qui disent la vie, l’espoir et les luttes, les femmes du monde, l’Afrique, l’universel et l’intime… Hymne à l’amour des racines jusqu’aux rêves. Une expérience où se mélangent la chaleur des musiques et rythmes afro aux airs de gospel/soul, métissage sonore et musical né de belles rencontres humaines. « Sweet Masala » est une caresse sonore aux parfums doux et épicés, bouquet aux senteurs d’ici et d’ailleurs. À Savourer sans modération ! Projet avec plusieurs artistes internationaux Rasa Lila Buniatyan / kamancha (Armenie), Dave Randall / guitare (Angleterre), Dionne Mc Clain Freeney / piano (New York), Carlos Johnson / guitare (Chicago), Billy Branch / Harmonica (Chicago), Maitane Sabastian / violoncelle (Espagne), Prince T-Vocal (Burundi). Rasa-lila Buniatyan was born in 1993 in Mayapur, West Bengal, India.Her father is a visual artist and her mother a singer both originally from Armenia.The family lived in India for ten years and four years in the USA. Since 2006 the family is resided in Armenia. Rasa-lila is a musician, who plays an Armenian Folk instrument Called Kamancha. She started studying Kamancha at the age of 14, At Sayat Nova Music School for 1 Year. After which she started taking classes from one of the best Armenian kamancha players, Hakob Khalatyan. Meantime she got enrollment in the Ashugh Djivani Folk Music School, where she studied in the class of Ashugh Hover (Hovhannes Hayrikyan). She studied under the general guidance of Merited Artist of Armenia. School board to participate in the YerazArt US/Canada 2010 concert tour program as a soloist. After that she got enrolled into Yerevan’s State Conservatory After Komitas where nowadays she is studying in the second course. 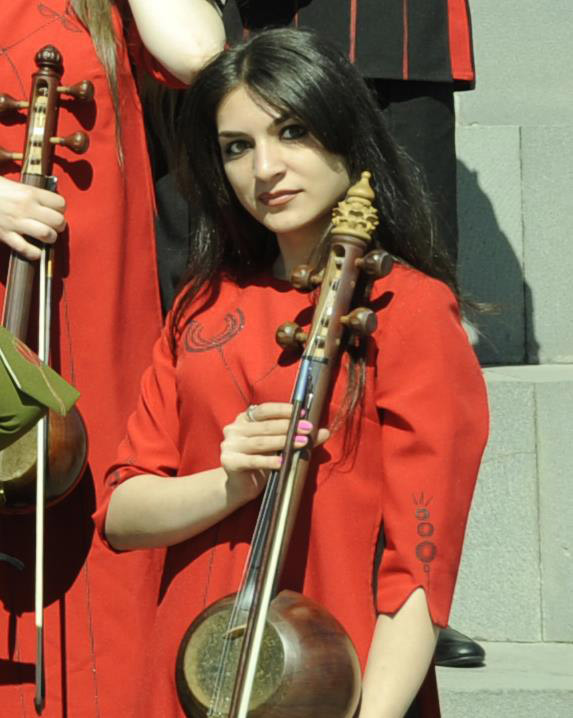 Besides her music studies in the conservatory she is continuing to take master classes from Ahugh Hover (Hovhannes Hayrikyan) One of the best Kamancha Players in Armenia. Rasa-lila has played in a wonderful group called Naregatsi Folk Instrument’s Ensemble. And now she is working in 2 different Ensemble’s. David Randall is a GUITARIST, producer and composer. He has contributed to multi-million selling albums by Grammy Award winning artist Dido and has toured the world a number of times performing with UK dance act Faithless. His own critically acclaimed albums released under the name Slovo feature international collaborations with artists including Iceland’s Emiliana Torrini, West Africa’s Maezah and US jazz legend Max Roach. Dave was invited to appear alongside Baaba Maal, Michael Stipe, the Mahotella Queens, Neneh Cherry and others, in the studio and on stage, as part of the 1 Giant Leap project. 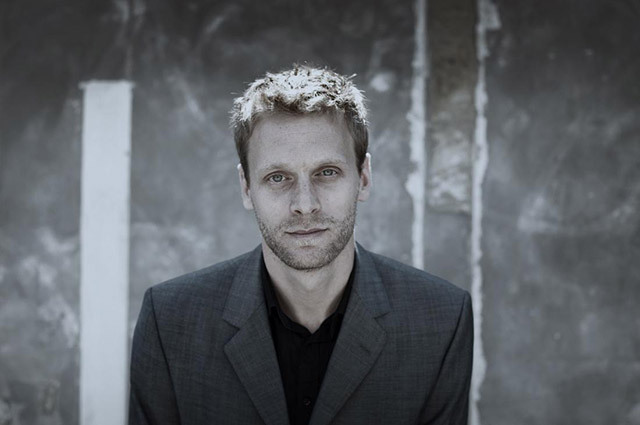 Recently he has toured with Sinead O’Connor and teamed up with Big Dada artist Mike Ladd, clarinet player Carol Robinson and drummer Dirk Rothbrust to create the Paris based improvising quartet ‘Sleeping In Vilna’, who released their debut album in September 2012. He’s currently recording and performing live with a new ‘afro blues’ guitar duo – ABIOYE & RANDALL. Dave brings this wealth of knowledge of international music to his compositions for screen and stage. Politics and internationalism are themes that run through much of Randall’s work. As well as making music he has published articles on the role of music in political campaigns and on Palestinian Hip-Hop. He lives in Brixton, South London. Dionne McClain-Freeney (Music & Lyrics, This One Girl’s Story) is a pianist, singer, songwriter, choral director, arranger, musical director, teacher and actor, appearing on some of the world’s best known stages, including Carnegie Hall, Avery Fisher Hall, Yankee Stadium, the Brooklyn Academy of Music, Don’t Tell Mama, Chicago’s Soldier Field and Millennium Park, La Bellevilloise in Paris, and the Lyon Opera House in Lyon, France, and an accompanist for some of New York tri-state area’s most beloved churches, including Canaan. Baptist Church, Unity Fellowship Church, Marble Collegiate Church, and Middle Collegiate Church. As an actor, Dionne appeared in Cape May Stage’s production of Lady Day at Emerson’s Bar & Grill. 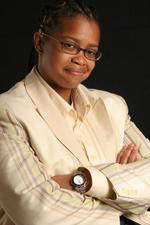 She is a composer, creating music and lyrics for This One Girl’s Story, Artistic Director of TruPraise Gospel Ensemble, and a regular performer in, and consultant to France’s Absolute Gospel Festival. Carlos Johnson (born January 17, 1953, Chicago, Illinois) is an American blues guitarist and singer. He is left-handed, but plays a right-handed instrument upside-down like players such as OTIS RUSH and ALBERT KING. 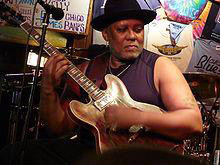 Johnson is known for his aggressive playing which has attracted audiences in Chicago blue scene since the 1970s. He has played on recordings of notable musicians including BILLY BRANCH & THE SONS OF BLUES and SON SEALS. In 1989, he made is first tour to Japan with VALERIE WELLINGTON, and caught attention of the Japanese blues fans. He revisited the country in 2004 as a supporting guitarist for Otis Rush who became unable to play the guitar due to the stroke he suffered earlier that year. These concerts helped him build a fan base in Japan. Though he has been active since the 1970s, he had to wait until 2000 to release an album under his own name. That year saw the release of his debut CD My Name Is Carlos Johnson recorded in Buenos Aires, Argentina from local Blues Special label. He was featured on Billy Branch ‘s CD Billy Branch & The Sons of Blues featuring Carlos Johnson released in 2002. Johnson also made an album as a duo with Branch titled Don’t Mess with the Bluesmen in 2004. Another CD In and Out from Mr. Kelly’s Records followed the same year. In 2007, he released a live album Live At B.L.U.E.S. on Halsted recorded in Chicago. Billy returned to Chicago in the summer of ’69 and graduated from the University of Illinois with a degree in political science. It was during these years that he was introduced to the Blues. He soon became immersed in the local blues scene. 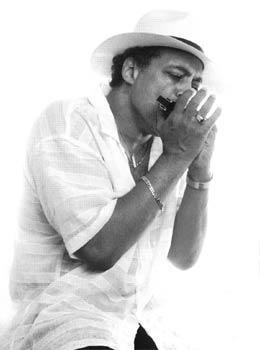 He spent a great deal of time at legendary blues clubs such as: Queen Bees and Theresa’s Lounge; he learned from such stalwart harmonica players like: Big Walter Horton, James Cotton, Junior Wells and Carey Bell. Maitane Sebastián is a member of the Sendrez Quartet, winner of the Bonnat prize at the International Maurice Ravel Academy 2009 and the Proquartet special prize at the Concours Européen de Musiques d’Ensemble de Paris 2012 (FNAPEC), of the duet A Tempo with the accordionist Philippe de Ezcurra, of the duet Parhélies with the pianist Julien Le Pape, of the quintet Tango del Alma (Piazzolla’s works), and complements her discography today by releasing the recording of her compositions for voice, cello and piano with the CD « Searching Plato Bay » at CDM in Toulouse. She has performed regularly within different ensembles of very eclectic aesthetic quality and been a member of the Regional Bayonne – Côte Basque Orchestra for 8 years and of the Pau – Pays de Béarn Orchestra for 4 years, selected first at the entrance examination. She has been for five years a member of the Paris Cello Ensemble Nomos whose first CD « Aperghis, Globokar, Pascal, Roy, Xenakis », at Ameson won the “Coup de Coeur Charles Cros” in 2006 and got 4 stars in “Le Monde de la Musique”. With that ensemble, she recorded the complete cello works of Mauricio Kagel at Hérisson which obtained 5 « diapasons ». Numerous composers have also written for her or her ensembles such as Georges Aperghis, Mauricio Kagel, Stefano Bonilauri, Michel Sendrez, Jean-Baptiste Devillers, Pierre-Yves Macé, Joël Merah, Marc Mellits, Pierre Thilloy… which allowed her to be in residence several times, like in the cultural centre of the Couvent de la Tourette in Eveux (created by Le Corbusier and Iannis Xenakis), at the Philharmonie Essen in Germany, at the cultural centre Arteleku in San Sebastian in Spain… and to create and record many new works. Among her discs with different ensembles can be found « Cantates » of Nicolas Bacri (Empreinte Digitale), « Music of Wheel » of Joël Merah (Creative Sources/Lisboa), « Nuage » of Sylvain Chauveau (Type/London)… Her record « Horizons d’aujourd’hui » at Triton’s with Quatuor Sendrez (April 2012) got 4 “diapasons”, 3 stars in Classica and 5 hearts in France Catholique. Now being prepared the record « Euphonia » at Ameson’s with the duet A Tempo (recorded in april 2012 and released in 2013). She has studied with Gary Hoffman, Xavier Gagnepain, Hélène Dautry and Christophe Roy with whom she got unanimous first class Honours in the Post Graduate Course by performing Prokofiev Sinfonia Concertante, Berio Sequenza XIV and extracts from Bach suites. Graduate at the national competition of Teachers of Arts Education 2009, she teaches as the tenured cello and chamber music teacher and is the conductor of the Symphonic Orchestra of Abbeville Conservatoire. Maitane Sebastián plays a cello, copy of a Joseph Guarneri senior, made by Frederic Chaudiere in 2009. Prince T, by his real name Kwizera Thierry, is a son of Africa, born in Burundi east africa in 1990. H With the age of 3 he went with his family to live in Germany,and stayed there for ten years Straight from East Africa Burundi, Prince T ( Kwizera Thierry) is a Hip Hop and reggae singer. Born in 1990 in Burundi , spent eight years in Germany , went for ten years back to Burundi, and finally ended up in France . He likes using his travelling life experience and influences trough his music.. Writes and performs in Kirundi (mother tongue) , English, German, and French. Influenced by the African drums rythms,90’s Old school Hip hop, and Roots reggae music, he uses a deep bass voice , lyrical tricks, unpredictable flows, to share his passion. With a spiritual background his lyrics often like to deal with » a metaphysical understanding of how as spiritual beings we experience this physical life » as he says in his own words. Performs as a solo artist but often plays with a band. He started rapping in a Burundian Hip Hop collective called NWF (nine warriors fellaz) and with their early recordings and performances, they helped their elder Burundian hip hop peers to build a Burundian International Hip hop scene, which was practically inexistent before. Started hosting high school parties in 2003 and ended performing on Burundian biggest and finest stages , with the age of 21. 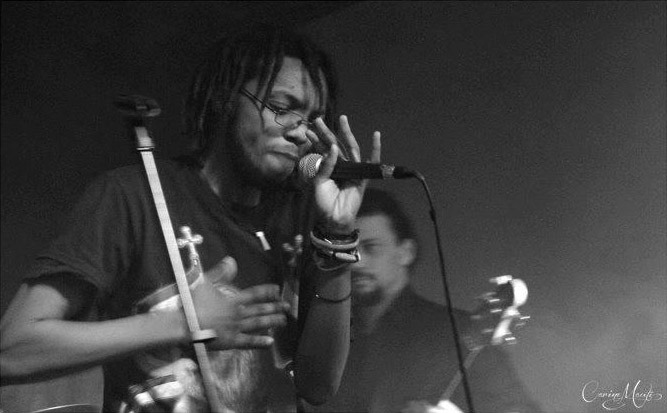 Prince T decided to explore in 2012 the vibes of the European music. 2012-2013 has been a year of beautiful artistic meetings for him. He encountered Sabine Kouli (Gospel singer) with who he decided to work on the Sweet Masala project, he met and is the Rapper and singer of 3 different bands; Cerca (Hip Rock psychedelic), Triple « P » Trippers (pop rap) and the Smoothies funkers( funky jazz Hip Hop), and has released his second Hip Hop reggae mix tape called « Just for the sake of Love ».